Bede has eclectic musical tastes, but especially enjoys classical and sacred music. He plays a bit of classical guitar and keyboard. In my earlier days, I considered the priesthood as a possible vocation in life. After a few months in the seminary, however, I sensed that God had another plan for me. Nonetheless, I respect priests and their work of leading souls to heaven. 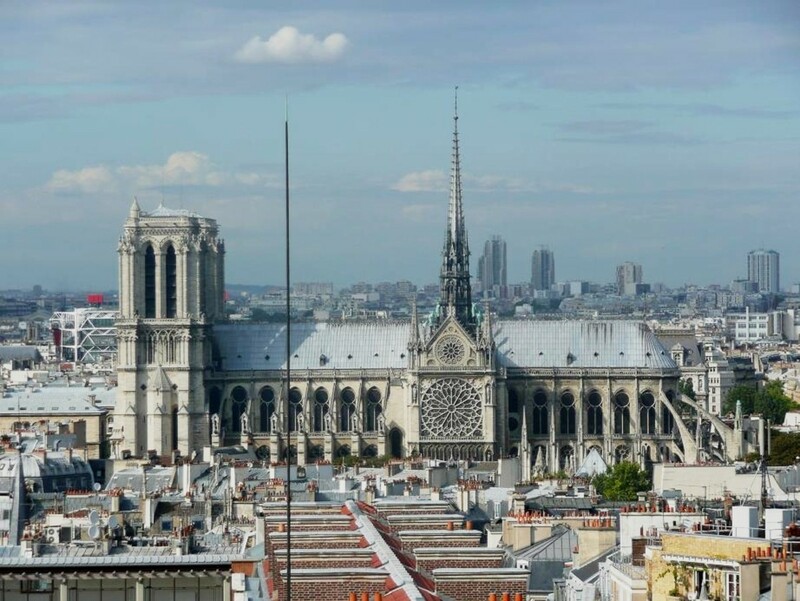 They accomplish this task by administering the sacraments, offering guidance, and teaching. They also must be caring and above all, adept at inspiring. Some priests in history sought to inspire, not so much through sermons, but through beautiful music. 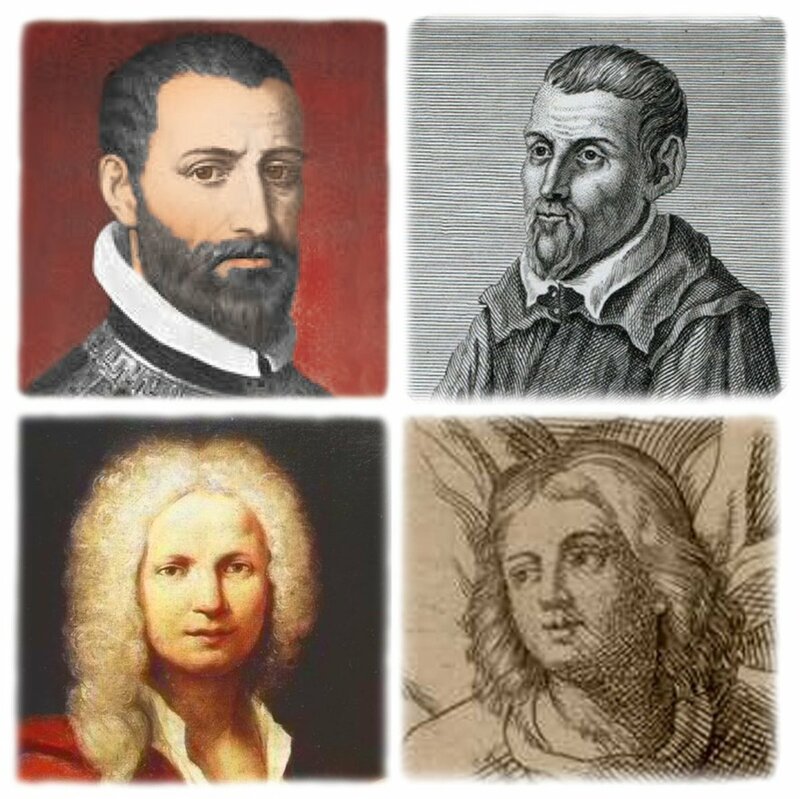 They are priest composers. This article looks at four of them and their musical legacy. Among the four priests in this article, Victoria is distinguished for composing only sacred music. 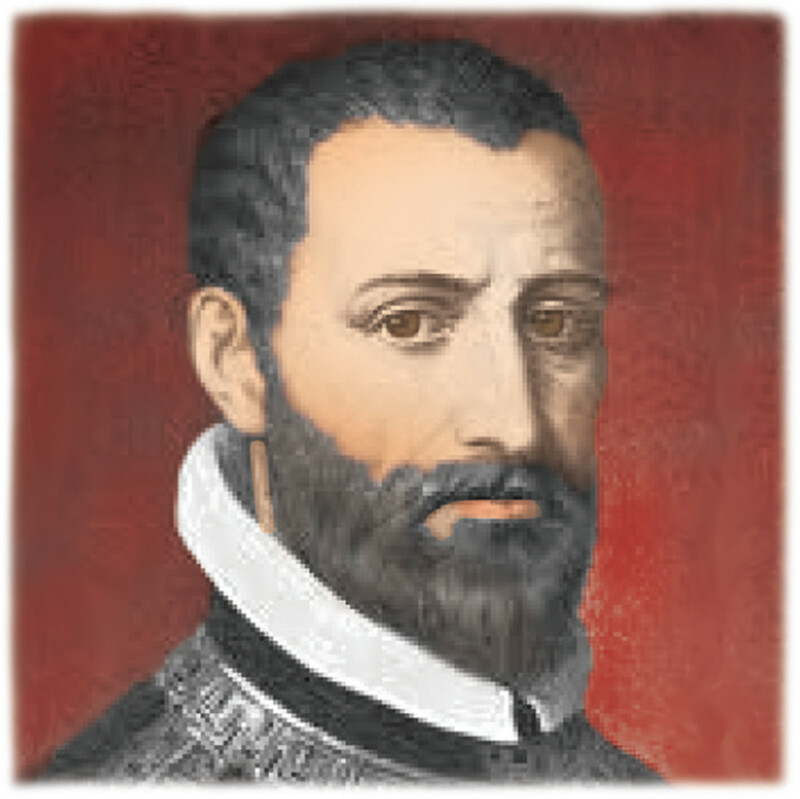 Scholars rank him as the greatest Spanish composer of the Renaissance and on equal footing with Giovanni Pierluigi da Palestrina in the genre of Renaissance polyphony. As opposed to the more conservative Palestrina, Victoria’s music conveys profound mysticism. He achieved this quality by a masterful balancing of pleasing melody and dissonance. In general, his music avoids the excessive counterpoint of his contemporaries. Victoria was born in Sanchidrián, in the province of Ávila, Castile, the seventh of nine children of parents whom he lost by the time he was eleven years old. His uncle, Juan Luis, became his legal guardian and saw to his education. Besides being a choirboy at the Ávila Cathedral, he most likely studied the organ as well, given his mastery of the instrument. In 1565, he received a scholarship from King Philip II to study in Italy. In 1573, he advanced far enough in his studies to receive the position of choirmaster at the Roman Seminary. At the same time, he taught music at the German College. He was ordained to the priesthood in 1574 by Bishop Thomas Goldwell, the last bishop of pre-Reformation England. In 1578, he became a chaplain at San Girolamo in Rome for seven years. It was his most productive time as a composer. St. Philip Neri lived at San Girolamo at this time as well, so it’s most likely Tomás attended meetings at St. Philip’s Oratory, where other famous musicians congregated. Tomás returned to Spain in 1587 and became chaplain to the sister of King Philip II, the Dowager Empress Maria, who lived at the Poor Clare monastery in Madrid with her daughter. After the Empress’ death in 1603, Victoria remained at the convent as organist and continued his priestly duties. He died in the chaplain’s quarters of the convent in 1611. Victoria believed God blessed him with musical talent for a purpose. In his view, music fulfills three purposes: spiritual, pedagogical, and therapeutic. The composer's work fulfills a spiritual purpose by elevating souls to heaven on a wave of inspiration and prayer. He fulfills a didactic purpose if he advances his art to a higher level, and thereby become a guide for future generations. Finally, he softens the roughness of life with the balm of music; the well-being of the soul results in greater health for the body. Musicologists note the strong fervor conveyed in Victoria’s music. His priesthood and prayerful routine likely contributed to this quality. He wrote to King Philip II in 1583, after spending eighteen years in Italy, of his desire to return to Spain; he wanted to spend less time composing and devote his thoughts “to the contemplation of heavenly matters, as befits a priest.” Though he continued composing, it is noteworthy that he placed such emphasis on prayer. 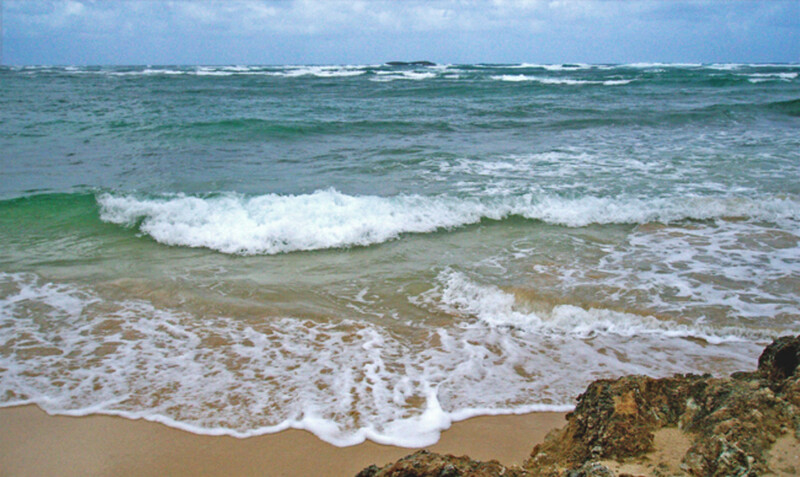 Indeed, his contemplation was the very fountain of his creativity. The best-known piece composed by Allegri is his Miserere mei, Deus, (Psalm 50), sung during matins of Holy Week at the Sistine Chapel. The Vatican thought this piece of music so special that they forbade copies, under threat of excommunication. It remained therefore shrouded in mystery. The first unauthorized copy was by none other than Wolfgang Amadeus Mozart, who at fourteen years of age visited the Vatican with his father. Wolfgang listened to it on Wednesday of Holy Week at the Sistine Chapel and afterward made a faithful transcription of it from memory. He made a few slight corrections after hearing it again on Good Friday. The Pope summoned him to the Vatican three months later. Far from excommunicating him, Pope Clement XIV praised his musical genius and awarded him with the Chivalric Order of the Golden Spur. The following video features an abbreviated version of Allegri’s Miserere. Allegri is notable for reasons beyond this memorable piece, however. He is one of the first composers of stringed instruments and scholars credit him with the earliest string quartet. His output includes two volumes of concerti for five voices, two volumes of motets for six voices, an edition of a four-part sinfonia, five masses, and many other works not published in his lifetime. Most of his published music, particularly his instrumental music is in the progressive Baroque concertato style; this style involves instrumentation sharing the melody with the choir. However, his compositions for the Sistine Chapel are more in the style of Palestrina, perhaps at the suggestion of the choirmaster. 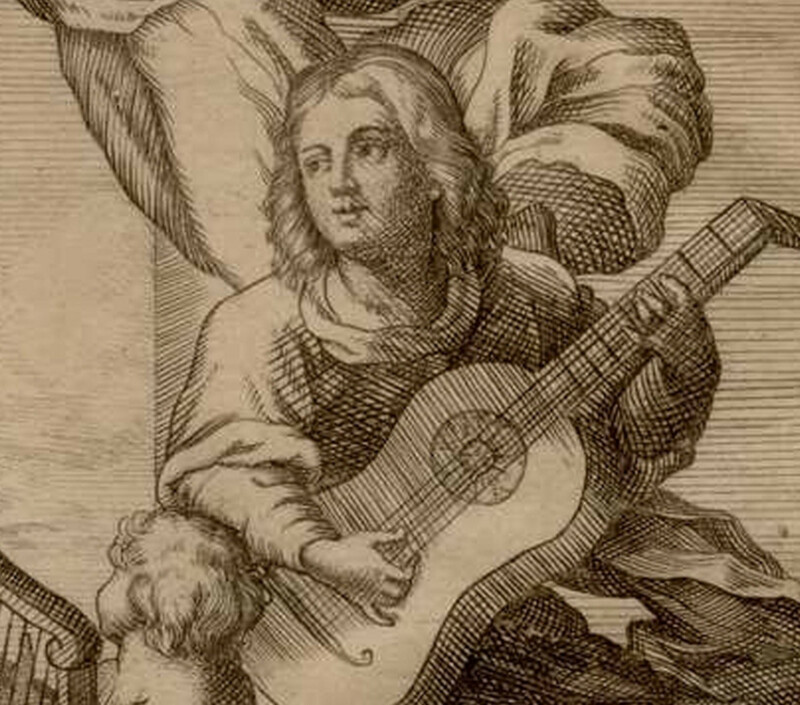 Gaspar Sanz is the most famous guitarist of the Baroque period. He was born Francisco Bartolomé Sanz Celma, in Calanda, Spain. He came from a wealthy family who could see to his well-rounded education. He studied theology, music, and philosophy at the University of Salamanca, and then traveled to Italy to further his musical education. He studied the organ with Cristofaro Caresana and spent a few years as the organist of the Spanish Viceroy at Naples. He learned to play the guitar from Lelio Colista. Afterward, he returned to Spain where King Philip IV appointed him as guitar instructor to his illegitimate son, Don Juan of Austria. He later held the post of Professor of Music at his alma mater. His greatest legacy is a three-volume pedagogical work, Instrucción de Música sobre la Guitarra Española, featuring ninety of his compositions. Besides his work as a priest, teacher, and musician, he was renowned in his day as a poet and writer. 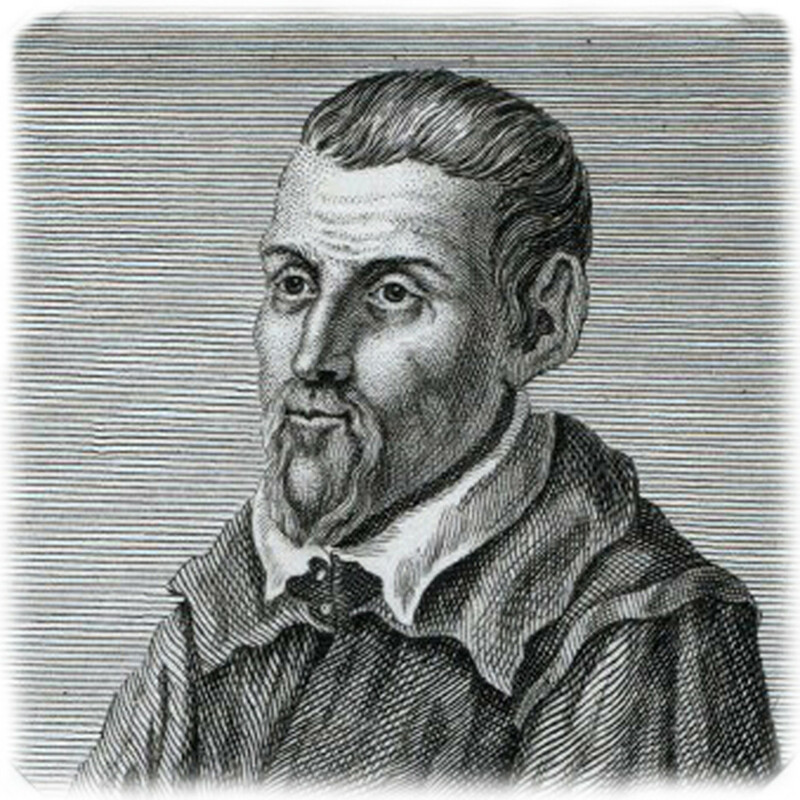 He wrote a eulogy to Pope Innocent XI and translated a famous work by the Jesuit, Daniello Bartoli, L’huomo di Lettere, into Spanish. Sanz shows great versatility in his compositions. As may be expected from a Spaniard, the dance and folk music inspire many of his pieces. Some are very soulful, as in the beautiful Españoleta, while others are more lyrical, such as Canarios. 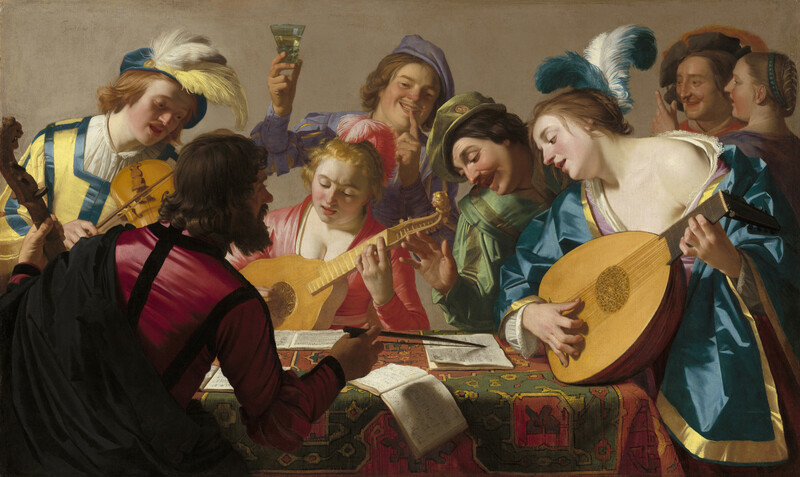 Other selections are more typically Baroque with the use of refined counterpoint, such as Pavanas. All of his music has the fragrance of Spain. His musical notation is in tablature and employs a shorthand system in Italian to indicate chords, which are comparable to the recently developed Nashville system. He has extensive suggestions indicating proper ornamentation, which give modern guitar scholars much insight into baroque guitar techniques. Sanz has been a major influence on modern composers such as Joaquin Rodrigo; in his famous Fantasia para un Gentilhombre, Rodrigo expands six dances taken directly from Sanz’ book. The following video features a slower version of the lyrical Canarios. Some years ago, I heard a performance of Vivaldi’s Four Seasons in the Church of San Bartolomeo in Venice. Only one word can describe it: magical. Indeed, Vivaldi remains one the most endearing composers of all time. Nonetheless, few people know that he was an ordained priest and remained so all his life. His contemporaries nicknamed him il Prete Rosso, “The Red Priest,” due in part to his reddish hair. However, because of a severe case of asthma and possibly heart-related issues, he received a dispensation from saying Mass. Even so, he faithfully prayed his breviary each day, required of all priests, and kept his rosary near at hand. 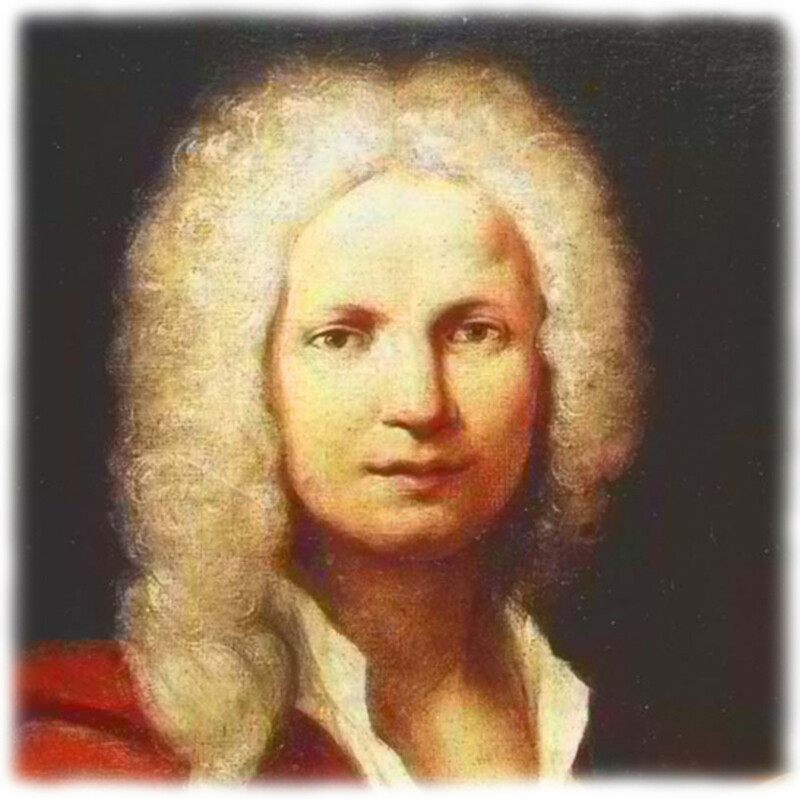 After he withdrew from liturgical duties, Vivaldi worked as the maestro di violino at an orphanage in Venice called the Pio Ospedale della Pietà. The all-girl orchestra at the orphanage made great strides under his tutelage. He taught them how to play certain instruments and composed the majority of his works there over a thirty-year span. His duties required him to compose a new oratorio or concerto for every major feast day. 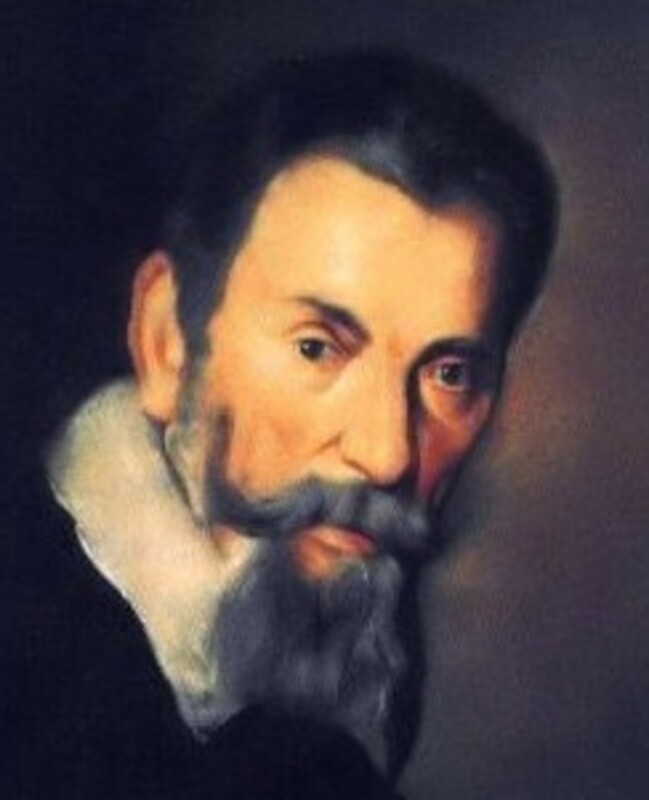 He composed nearly 600 concerti along with many operas and sacred works. When Emperor Charles VI visited Venice, he became fast friends with Vivaldi and invited him to Vienna. Unfortunately, the Emperor died shortly after Vivaldi’s arrival. This left the already impoverished composer with little hope of patronage. In less than a year, he caught a fever and died. He was sixty-three years old. The Four Seasons is by far Vivaldi’s most famous and innovative creation. Musical scholars regard it as one of the earliest examples of program music. Program music narrates a certain text, such as a poem, in musical terms. In the case of the Four Seasons, there exist four sonnets, attributed to Vivaldi himself, in which the music mimics flowing streams, birds, a shepherd with his barking dog, buzzing flies, winter fires, and so forth. The following video features the largo movement of the Winter Concerto, arranged for classical guitar and cornet. Vivaldi did not invent the concerto form, but musical scholars credit him with taking it to a completely new level. 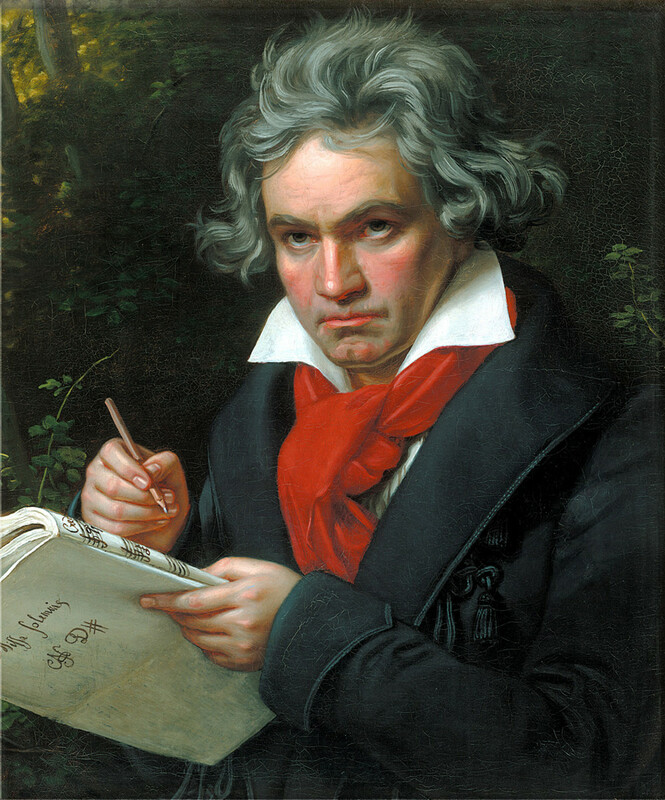 He helped established the structured format of the concerto, typically of three movements, fast-slow-fast. Like Mozart, he had a particular gift for melodic invention, as the music seemed to flow out him effortlessly. He was also a master of harmonic contrasts and tone-dynamics (soft, loud). However, it is the charm of his melodies, imbued with such joy and yearning, that has fixed his lasting reputation. As his spirituality influenced his music, so he, in turn, had an enormous influence on J.S. Bach, who transcribed nine of Vivaldi’s concerti for keyboard instruments, and one (RV 580) for four harpsichords, 2 violins, and basso continuo (BWV 1065). Bach was particularly attracted to Vivaldi’s technique of alternating one or more solo instruments with the full orchestra throughout a movement. The following video features the first movement of Vivaldi’s Double Concerto in A minor (RV 522), which Bach transcribed for organ (BWV 593). One may note Vivaldi’s influence on the Brandenburg concerti, which Bach composed around the time of his transcription. 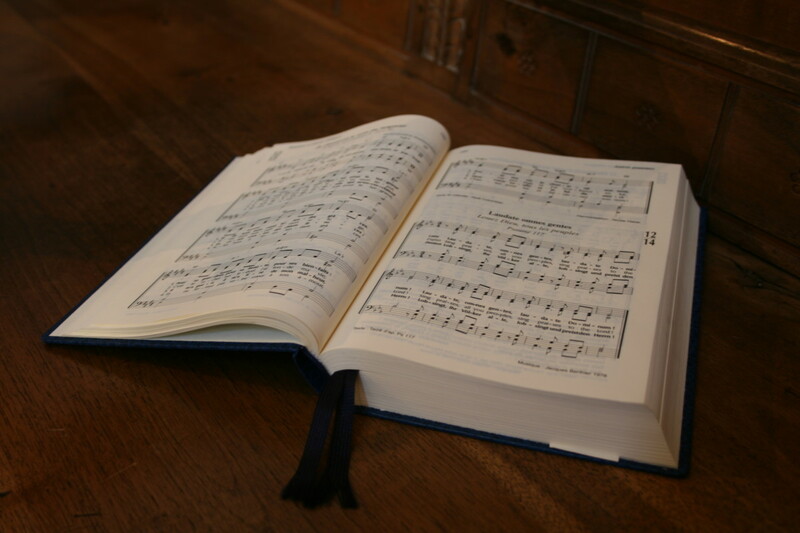 Throughout history, God has blessed certain individuals with the ability to create surpassingly beautiful music. Some of the most famous of these composers, such as Bach, Mozart, Haydn, and Brahms, believed that God assisted them in their efforts. Art, and in particular, music, often has a power to communicate where words falter. It is fitting, therefore, that gifted priests should communicate the ineffable language of heaven through music. 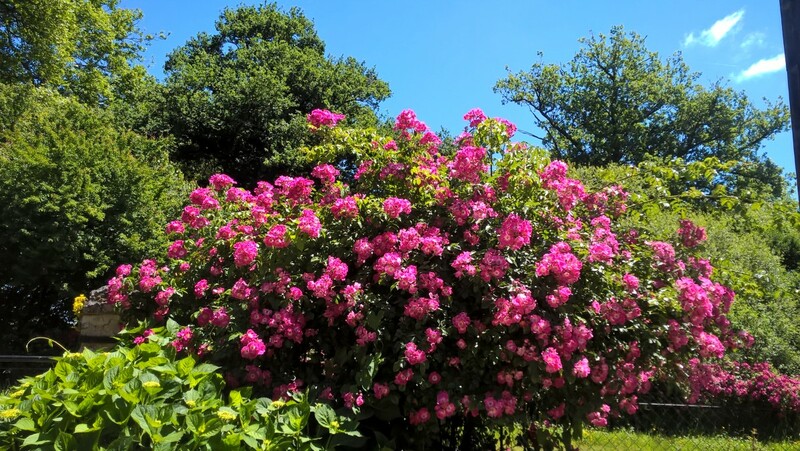 Their lives of prayer did not hinder their artistic flowering; rather, their very contemplation became the wellspring of their creativity and our enjoyment today. Which musical composition did you enjoy most? Hi Marc, I really appreciate your comments. I thought of including Liszt, but discovered he only reached the fourth minor order, exorcist, and forewent the major orders. Interestingly, Liszt had a star pupil named Hermann Cohen, who was Jewish and an atheist. In short, Cohen led a wild life; he once played the organ at a Benediction service and had major conversion experience. He became Catholic then a Carmelite priest/friar. He’s since attained “venerable” status, and perhaps one day will be St. Hermann. Your description of Mozart’s Requiem is quite interesting. I’ll pay attention to that part next time I listen to it. I know Bach used dissonance very often, for both musical and religious purposes. Probably my favorite use of it is in his Brandenburg concerto #5, the harpsichord cadenza; it’s a glorious moment when it finally resolves into harmony. That’s fascinating about Adrienne von Speyr and Mozart. In a way, it doesn’t surprise me. His music often has a childlike, heavenly quality. That his conversation with God was nothing but music makes perfectly good sense. My main comment, inspired by Mozart, would complement cases of "non-priest" musicians. Adrienne von Speyr was a Swiss medical doctor, music lover and mystic (died 1967) who overwhelmingly inspired the works of the renowned 20th century theologian von Balthasar. She reports of many mystical experiences with saints ; most surprisingly she also reports her encounters with non-beatified (unknown) saints and some unexpected figures such as... Mozart, in such genuine, and nice, words that I should copy them in full, as an "as is" report on the relationships, at times, between music and heaven. On Mozart she writes : "In relation to God he is like a child who brings everything to his father: the stones from the street and peculiar sticks and little plants and even once a ladybug; and with him all of these things are melodies, melodies that he brings to God, melodies that he suddenly knows when he is inside of prayer. And when he has finished praying, and he is no longer on his knees and no longer has his hands folded, then he sits there at the piano, or he sings with an incredible childlikeness, and in doing so he no longer has any idea whether he is playing something for God or whether it is God who is using him to play something at once for himself and for Mozart. There is a great conversation between Mozart and God that is the purest prayer, and this entire conversation is nothing but music". Hello Bede, once again your writings are like precious pearls, finely crafted ; I haven't turned the YT add-in on, but now will have to ! A nice paper. There is so much to be said about music, and why we humans make use of music. The 3 purposes of music you traced back to T. L. da Vitoria, sound so correct ! Some other musicians turned to priesthood only at a later age, such as Liszt, albeit spiritual themes were present in his works from early on. It is seldom said that Liszt, besides his glittering and crowd-attracting style, would also play in orphanages and give free or charity concerts. Today, the French pianist Ann Queffelec shares the astonishing experiences she has with inmates when engaging into concerts given in prisons (or in hospitals, to chronically-ill patients). So how many musicians, while not becoming priests, had no profoundly spiritual inspiration, or source. I cannot resist, although it might be long, to add a story reported about Mozart. Most people know his Requiem : the alternation of female and men's voices strongly impacts the listener ; while dying when composing this piece one wonders wetter he did not transcribe some states of altered consciousness ; the composition of the female voices can only sound as utmostly celestial ; the men's responses are utterly terrestrial, hard, painfull. In the choir where I sing we were rehearsing yesterday night, another Mass by Mozart (KV49), composed when he was 12... ; in the 'Agnus Dei' part, the same motif he would use 23 years later on his deathbed already appears : alternation of 'piano' celestial, peaceful, resolving harmonies and 'forte' harsh, tense, unresolved ones ; it seems as though, something more than merely human, terrestrial, is added on top of a typically humanly crafted art object : it is more than a merely highly aesthetic musical object. The human voice is also the most vibrating of all instruments... Sadly enough I am not done with the story about Mozart which I need to put down in a second comment for those brave enough to read on...! My dear Denise thanks for stopping by to have a read. Yes, I was only 19 years old at the time. I think we're all called to something and have some special purpose to fulfill. You and I have the gift for making people’s lives better through art. Inspiring music is a huge help in the art-making process. It’s helpful in turning-off worries and turning-on the creative flow. My dear friend, I had no idea you were called to the vocation (almost) but I should have know from your venerable name. I loved this article so much because I knew so little about the composers you listed, including, I'm sad to say, Vivaldi. I love his works and have them on my play list when I'm painting. Now I must go and get the music from the others for my play list as well. Thanks so much for sharing. Hi Frances, glad to meet you and thank you kindly for the comment. Sanz’ music sounded so familiar when I first heard it a few years ago. It’s because my favorite 20th composer, Joaquin Rodrigo, expanded on some of his dances at the suggestion of Andres Segovia. I’m glad you enjoyed the article. Thank you for introducing me to Sanz who I'd never heard of. A lovely informative article. Glad I discovered it today. Linda, thanks very much for the comment. I hope that the sound is fine for others. Victoria’s Requiem Mass is worth listening to in its entirety. Apparently, he stopped composing after that and spent the last eight years of his life as the convent organist. I really enjoyed making the videos for this article. I used media from the public domain or creative commons. Eric, singing is great as long as it doesn’t offend the neighbors. It’s quite amazing that the human voice has such capabilities. It could be that we are supposed to practice as much as possible in this life to be ready for the next? Then again, God listens with joy to our efforts, regardless of the quality. It's the heart that matters. This is an enjoyable article, Bede. I liked all the music, but I loved the first piece. I had to listen to the pieces on YouTube due to a strange problem that I'm having with the sound on my device. You have some interesting videos in your account. I'll explore the rest of them in the near future. They touch us. And thereby my sister touched me. Maybe I only sang Blowing in the Wind right. But my sister told me I did OK with John Denver about take me home. They some times give me a thought at my boy's church to sing Ava Maria. I suppose God Loves and we just do.I only know direction He shows. Wow Eric, that’s remarkable that you heard Segovia! I’m a big fan of two of his protégé- Christopher Parkening and John Williams. I saw Parkening twice in concert. Anyway, I’ve just been listening to the birds singing after the rain. If we love music, it’s because God loved it first. Thank you so much. Sicily if I remember correctly. A hostel I think. My sister studied him while I studied the girls ;-) Then we were off to hear Segovia. Close to Gibralter maybe. 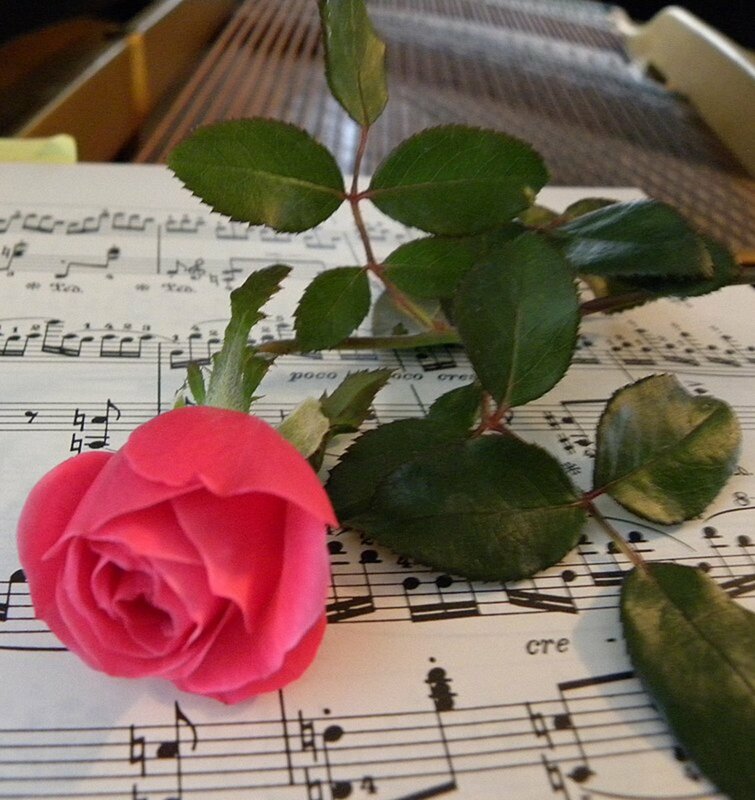 God does not give us music as a triviality but rather to be cherished. I will call my sister down to Mexico way and chat about this. Eric, Tomas is good, but maybe Padre Tomas is better? The Italians call him Vittoria. Listening to Vivaldi is equivalent to having a good cup of tea. He is a battery re-charger. If only we could hear and see him live. Yes, ear has not heard what good music awaits us in heaven. Let’s keep hoping. I have no reason for it but I call him Tomas. Vivaldi is on my happy list. Listening now. Thanks a big old bunch. Last i understood as a preacher was that since time memorial Angels sang. They rock and through our Saints they really rock. Thanks very much for your comment, Mary. I agree that there is something mysteriously beautiful in Allegri’s Miserere. I think part of it is the interaction between the plainchant and the polyphony. It’s a perfect blend. I reduced the size of that video today because I thought it might take too long to load the page. If you come back in a couple days, I believe you’ll find the original video even better food for the soul. This is food for the soul. My husband and I listened to Allegri's Miserere and we were really caught in the beauty of the music. We love Vivaldi and we listen to his works often but this is our first time to listen to Allegri.